iPhone IMEI Number are unique codes generated to identify a device that makes use of mobile networks. IMEI allows users track their stolen or lost device to prevent other users from accessing their data. It also permits users to have access to much interesting information. When you use this special code, you will be familiar with a lot of data on your device. They include network and the country which your device is coming from, carrier information, date of purchase, device specification, system carrier etc. iPhone IMEI Check permits users to check the IMEI information. It is advisable for iPhone users to make use of IMEI checker before buying a new or old device. Due to this, you will confirm if the device is original and valid. You can use the IMEI checker to check if the device specification is valid with the selling offer. iPhone IMEI check provide more information about your device such as iCloud Status, Phone Blacklist, Warranty checks, Find My iPhone Status, Network and Simlock checks, Unlocking Simlock protection, manufacture date and other useful information about your iPhone. All iPhone models are supported with the IMEI checker. The IMEI checker helps to check if the phone has been reported as stolen or lost anywhere across the world. iPhone IMEI checker is one of the best free iPhone online IMEI checkers. Apart from checking your IMEI, it can be used for unlocking iPhone. The IMEI check is free and easy to use. With their Website URL: https://iphoneimei.net/ you can easily check your IMEI on their checker’s website. If you want to check iPhone IMEI, choose “Check iPhone IMEI”. After, enter our IMEI unique code to continue. Wait for few seconds for the website to check the information about the device. iOS basics is another free iPhone IMEI checker. The service is fast and automated. The website provides a lot of useful information on iPhone IMEI, and other details on your device. You can visit their website URL: https://iosbasics.com/iphone-operator-check/ to enter your IMEI unique code. The website will provide you with the necessary information you need about the device. Enter the IMEI number, and then click on “Check Me”. This is another exceptional website where you can check your iPhone IMEI easily. The website URL: http://www.imei.info set up makes it easy to check the device. Apart from iPhone IMEI check, the site also provides other services like operator codes and IMEI calculator. But it doesn’t provide unlocking services. If you want to use this service, you need to enter the IMEI unique code and click on “Check”. Wait for some minutes for the website to generate results. 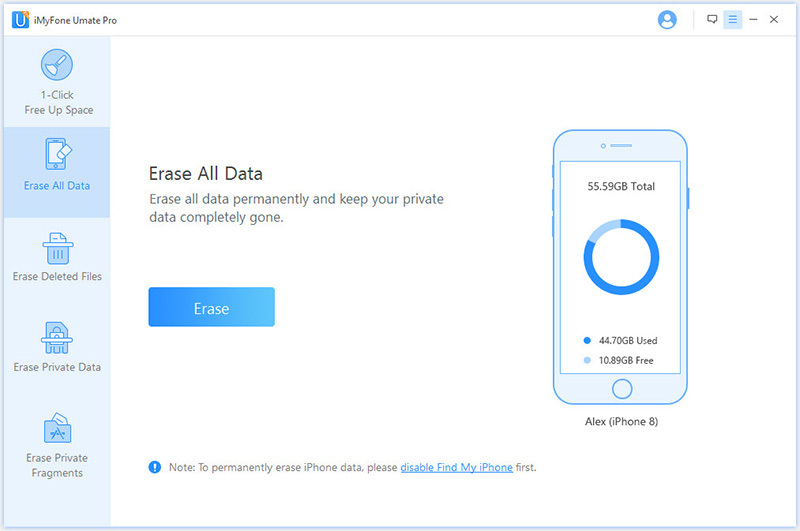 After unlocked your iPhone, you may want to completely erase the previous owner's data. 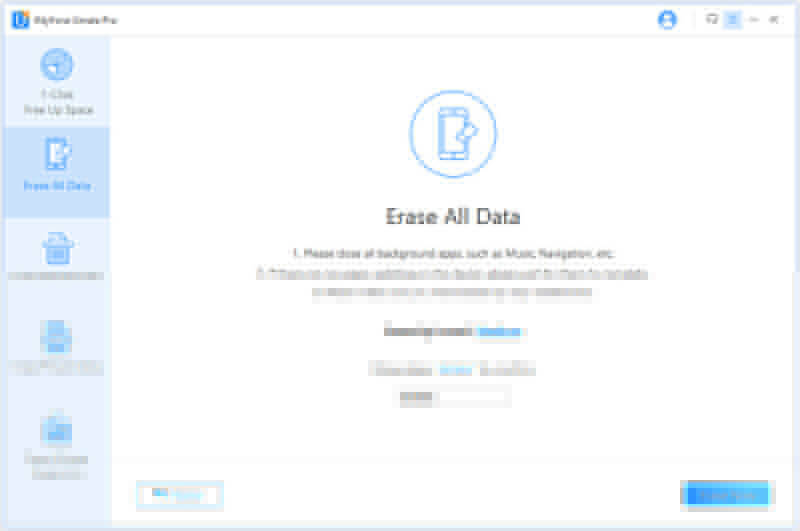 iMyFone Umate Pro for Win or for Mac is a unique tool that helps to erase both current and deleted data from iPhone permanently. This iPhone data eraser help users to fully reset their device, erase all the data unrecoverable. It's useful for an second-hand iPhone user. Permanently erase all your files without recovery. Completely erase iPhone data with no data of the previous owner. Selectively erase data and files such as pictures, call records, text messages and music. A lot of online media like MacWorld, iPhoneinCanada, APPKED, etc. recommend it. Step 1: Open the iMyFone Umate Pro app. After that, use a USB cable to connect your iPhone to the computer. Step 2: When it is connected, select the “Erase All Data” mode. On your window, select the “Erase” option. Step 3: Text “Delete” on the security box. You can check the security level settings to change the security validation answer. Step 4: Then, select the “Erase Now” option to delete your files permanently.